In simple terms, an API (application programming interface) is used by programmers to enable internet databases, apps, or pieces of software to interact with one another. By doing so, it automates the flow of data so that different services can be integrated with one another seamlessly. For example, a popular API that you’ve probably seen on a website or mobile app is the Twitter API which displays the latest tweets relevant to the subject matter at hand. Another common API used by many businesses is the Google Maps API, so that customers have the information they’re looking for integrated into the web page that they’re already viewing. Essentially, Google has enabled third-party web developers the ability to integrate Google Maps into apps or web pages in order to facilitate mutually beneficial relationships. One of the common misconceptions is that APIs are only useful for large businesses, but now there is increasing acceptance of the idea that businesses of all sizes can take advantage of the unique benefits of integrating APIs into their websites. The good news is that WordPress allows businesses to stimulate growth by integrating APIs into their websites, bringing API integration to millions of different businesses. APIs will allow your company to collaborate with a wider circle of partners, spearheading new opportunities for your business. Just as importantly, APIs will make your website more user-friendly and improve the experiences that customers have while using your website. It will also ensure that customers stay on your website, rather than surfing elsewhere for information that has been integrated using an API. As mentioned above, WordPress has made it possible to integrate APIs into your website as a means of enhancing its functionality. One of the key benefits of using WordPress is that you have the ability to create a powerful website that is still extremely simple to manage and update. Integrating APIs are a case in point, since it creates unlimited possibilities for your website without overcomplicating the process. Here at RemedyOne, we can exponentially increase your website’s functionality by creating custom API integrations for custom third-party software. This means that irrespective of the area in which your business operates, we can integrate APIs that can greatly expand the ways in which you communicate with your customers. Additionally, we can build our own API integrations from scratch to further facilitate the customization of your website. Best of all, all of our web developing can seamlessly be integrated into your WordPress website, keeping things as simple as possible. If you are interested in a fully customizable website with limitless functionality, look no further than a cutting-edge RemedyOne WordPress website. One of the most defining elements about WordPress over the years has been its willingness to constantly adapt to emerging trends. It’s been this ability to stay ahead of the curve that has allowed it to dominate the CMS market, outcompeting its alternatives by a wide margin. The most recent large-scale update known as WordPress 4.0 includes over 250 improvements to the platform. Below we’ll explain some of the WordPress 4 new features and benefits and why they’ll help you maximize the effectiveness of your websites. One of the best of all the WordPress 4 new features is the ability to easily embed content by copying a URL into a post. This works for the leading forms of embedded video ranging from YouTube to Hulu, and from TED Talks to CollegeHumor.com. In the past, embedding media was a much more convoluted process, but WordPress 4.0 has streamlined it for our convenience. The Media Library has been given a sleek makeover and now appears in grid form. While the improvements are mostly superficial, they do make it significantly easier for webmasters to search and organize their content. Editing is now easier than before which users will find convenient—all you need to do is click on an image in the grid and a pop-up will allow you to edit the file without exiting out of the screen. Best of all, you’re free to switch back to the earlier style if that’s your preference. WordPress has always made it a priority to make the process of customizing your site as easy as possible. It took another step in this direction with WordPress 4.0 by improving the way that users find and install plugins. Plugins will now be listed in grid form, along with key information including descriptions, user reviews, release dates, and compatibility information. Considering the importance of plugins when it comes to search engine optimization and branding, this makeover will positively improve the experiences of many users. Editing posts is now a more pleasant experience, and you’ll be able to compose posts without scrolling now that WordPress will reshape itself per your browser specifications. This means that the menu bar will remain as a sticky at the top of your screen, making the entire editing process that much more efficient. This is a great example of a subtle improvement that will have a positive impact on millions of WordPress users. If you’re using WordPress in a language besides English—as millions of its users do—then you’ll be satisfied with the new installation languages that have been added. Translations will be handled more effectively than ever before, which means that its growing user base will start appealing to an ever wider audience. This is big news even for English speakers, since the soaring WordPress user base means that improvements will continue to be rolled out for the foreseeable future. WordPress vs Joomla: What’s Best for Business? Given the competitive nature of today’s business world, there’s little margin for error when it comes to designing your company’s website. The most fundamental choice you’ll have to make is which CMS (content management system) to use, since that will dictate the day-to-day efficiency of your website. 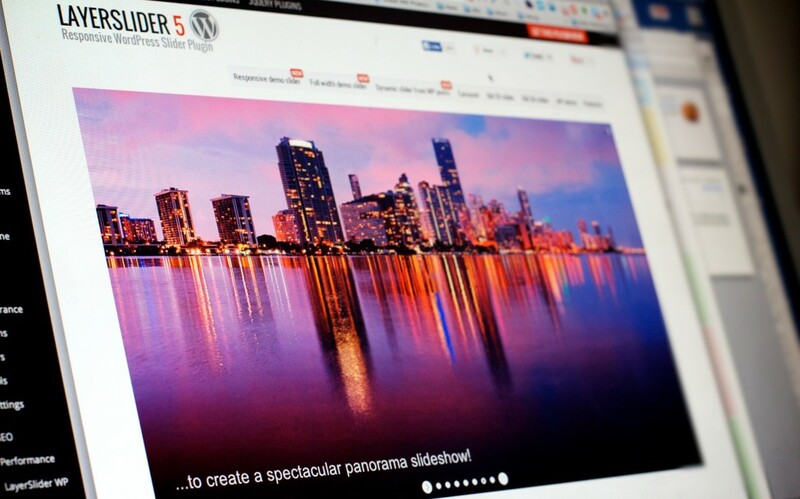 Below we’ll compare and contrast two of the leading CMSs: WordPress vs. Joomla. https://www.remedyone.com/wp-content/uploads/2013/04/wordpress-logo-notext-rgb.png 500 500 Simon Hunter https://www.remedyone.com/wp-content/uploads/2015/03/RemedyOne-Logo.png Simon Hunter2014-09-08 21:45:192015-03-05 13:10:27WordPress vs Joomla: What's Best for Business? If your e-commerce site suffers from shopping cart abandonment issues, take solace in the fact that you’re not alone: the harsh reality is that the global average shopping cart abandonment rate is a whopping 67%. Put another way: that represents more than two-thirds of your potential sales – gone with the click of the back button! Fortunately, shopping cart abandonment has been the subject of intense scrutiny in the past few years with the result that a lot more is known about why customers leave websites before buying. And when you know why something’s going wrong, you can do something about it (or hire an expert to do it for you!). What makes buyers change their minds – and, more importantly, what can you do to fix it? According to a 2012 survey of 19,000 consumers by WorldPay, the number one reason for shoppers abandoning a purchase was unexpected costs. Fix: Don’t hide your retail taxes or shipping and handling costs. Let shoppers know upfront what charges you’re adding to the final purchase price. Don’t be sneaky and think you can hide the costs until the last possible moment. Do that and you’ll continue to suffer from abandoned shopping carts. Oftentimes, prospective buyers simply change their minds before reaching the checkout. According to Forrester Research, only 3% of shoppers make a purchase during their first visit to a website. Of the remaining 97%, about 71% will pop something into their basket then leave before buying. Fix: Use retargeting to entice the ‘just browsers’ back. People who’ve put something into their baskets are already part-sold on your product. With retargeting ads, you stand a very strong chance of enticing those would-be buyers back. Consumers don’t like being made to create an account. Making users create accounts with you before they buy is another reason for shopping cart abandonment, according to the web research company, the Baymard Institute. ‘Forced account creation’ was the second biggest purchase turn-off (after ‘Unexpected costs’), according to its survey of 1505 internet users. Fix: Offer users a ‘guest checkout’ option. Don’t force prospects to create an account with you before they’ve made a purchase. You can always offer them an incentive to create an account or opt-in after they’ve made their first purchase. Consumers are nervous about buying online. Users are nervous about trusting their personal information and credit card details with a website they’ve never dealt with before. If they don’t see evidence that your website is safe, they won’t want to hand over their credit card details to you. Fix: Make sure your website features trust signs. Place trust signs on your payment pages. Test the best placement. Customers hate paying for shipping. Online users are not only accustomed to getting things free online but they expect it. Worse, a study by ComScore found that 61% of shoppers would abandon their shopping cart if they weren’t offered free shipping! In Deloitte’s 2014 Retail Industry Outlook, Alison Kenney Paul, vice chairman and U.S. Retail and Distribution leader, Deloitte LLP, said same-day delivery and free shipping are no longer unique, but expected. Fix: Offer free shipping. If possible, offer your prospective buyers free shipping, even if it means you have to make up the costs somewhere else. These are among the biggest reasons for buyers changing their minds before purchasing. It’s important to know the reasons for your prospective buyers changing their minds. To do that, survey your prospective customers. And as with all things related to conversion optimization, test everything! As a business owner, you know the challenges of converting visitors into customers. Competition is often high and the window of opportunity is limited. The price of entry for modern day businesses is a website where internet-savvy customers can read, get contact information and shop. But, are business owners in general really getting the most out of their websites? Are you? Learn how A/B testing can help. Businesses want to increase sales; that is universal. The strategic use of a website can become instrumental to gaining those results, but the key word there is: strategic. Creating a website and generating traffic isn’t enough. In order for your site to work for you, it is important to make sure that it is optimized to direct potential clients along the path to conversion. This is where A/B testing comes into play. It is a great tool to find out what is beneficial on your site, and what components need improvement. You’re essentially performing an experiment where traffic is split evenly between two versions of your site simultaneously. The original version of the site acts as your control, then you introduce specific variables to the second version to test the difference in your conversions. This allows you to see if the changes you have made affect the amount of visitors you successfully convert. There are many things that can affect how a person behaves while viewing your site ranging from tone, to placement, to wording. Something as simple as the way you phrase a message, can play a major role in the number of people who perform specific conversions. For example, if you are coming across too forceful, that may cause some visitors to lose trust in your company and leave the site. Placement can also be a determining factor. Just as the location of your physical business is important, so are the location of videos or call-to-action buttons. Let’s say you’re trying to get your customers to sign up for a mailing list, so you have a set of information fields that a customer fills out. If you have an engaging video above your form fields, it may actually be causing people to stop scrolling before they reach the sign-up portion. With A/B testing, you can move the video below your form fields and find out if your sign ups increase as a result. Decide what increase you would like to target and set a realistic goal for your business. Form a hypothesis identifying what changes might help you achieve that goal. Record and analyze your results. You may be surprised at the difference in results that can occur just by minuscule changes within your page. With A/B testing you can get your conversions up, by getting your website “down to a science”. https://www.remedyone.com/wp-content/uploads/2014/03/iStock_000033298144Small.jpg 565 849 Simon Hunter https://www.remedyone.com/wp-content/uploads/2015/03/RemedyOne-Logo.png Simon Hunter2014-03-26 04:30:492014-03-26 04:30:49A/B Testing: Get Conversions Up by Getting “Down to Science"
Rotating banners or carousels – those devices so beloved of web designers – could be killing your conversion rate. What is the carousel conversion rate? Are carousels ‘conversion killers’? What’s so bad about carousels? After all, they showcase a whole load of images and messages, which means they save precious space on any website page. Users ignore carousels, according to Jakob Nielsen , a leading usability expert. Because carousels move, users automatically assume they must be advertisements, which makes them more likely to ignore them. What users ignore, they don’t take action on. That means your conversion rate stays the same or plummets. Disaster! Nielsen’s claim is borne out by a conversion study conducted on five Notre Dame University websites with carousels . The study revealed only 1% of all visitors clicked on a feature on the carousels. Of those who did click, 84% chose the first thing on the carousel. 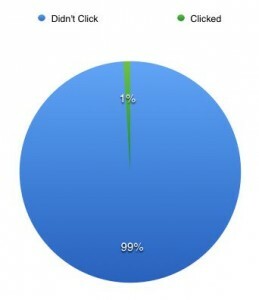 Surprisingly, only 1% of visitors actually interacted with carousels. 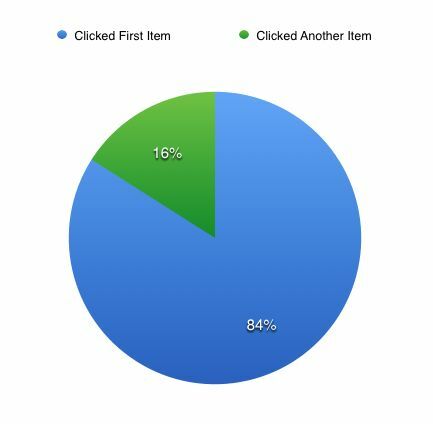 Of the 1% of visitors who clicked on an image carousel, most clicked on the first item, not later items. Image sliders/carousels often move too quickly for users to take in the image or message. If there are navigation icons, they’re not always easy to see or use. The result: frustration or confusion on the part of your visitors. And, when users are confused or frustrated, they don’t tend to stick around. Instead, they click on the ‘back’ button and leave. That will kill your conversion rate. If you’ve been hit by a penalty from Google, you likely need to have your manual spam action revoked. We were able to help our client Frank Murch at Signs for San Diego with his manual penalty recovery (you can read how we did it here). Our client needed a Manual Action Recovery. They’d been hit by a spam action from Google and needed to get it taken care of. I talked with 6 or 8 companies, 3 of which I have accounts and business dealings with – none of them knew what was happening. Remedy One took this on, and found the bad links that nobody else could. RemedyOne resubmitted to Google for reconsideration resulting in success!! My time in “Google jail” ended. This action from Google threatened 7 months of work. Without RemedyOne I would have not been able to solve the problem and would have probably abandoned the site. Of course Remedy One has modern software tools, and a very methodical approach resulting in abilities that could solve this problem, but other firms had that too. RemedyOne had something infinitely more valuable – They had the expertise, knowledge and aggressiveness to figure out the problem and solve it. I was asked if I would recommend Remedy One – Absolutely!! The first step in manual penalty recovery is tracking down your bad links. The problem Frank faced was that he didn’t even know what the supposed spam links were! He’s a pretty technologically knowledgeable guy so he’d looked in Webmaster Tools, but he couldn’t find any suspicious links. Thinking it might have been the links from the Oceanside Chamber of Commerce, he disavowed those links. I didn’t think the Chamber links would be a problem to Google, and thought there must be something else up. We fired up our inbound link research tools we use for our SEO clients, and were shocked to see hundreds of links which hadn’t shown up on Webmaster Tools at all. We copied the links into a Google Docs spreadsheet and began cataloging which links were good, and which were suspicious. We literally visited each one! Some were questionable, some were definitely legit, and some were obviously spam. We color-coded the links based on our suspicion of them, and included a column to take notes of our actions and what we did. It’s important to create your spreadsheet in Google Docs and share it to ‘anyone with link’ – the reason for this will be clear later. One of the site owners actually contacted us very apologetically – his domain was simply parked somewhere and he didn’t realize this domain was being used for this purpose. He provided some details that we used to track down some other links. In fact, they all seemed to be being produced by one company – a text link spinning company. We called them and asked to be removed from their index. Step 4: Get the links removed! The company removed the links almost immediately. In this case, there were almost no other links once we had removed the ones created by the link-spinning company. So it was a pretty simple task to disavow the one or two that we couldn’t get to. We submitted a very apologetic, sincere reconsideration request to Google through Webmaster tools. We included a link to a Google Doc (shared publicly) containing a journal of our efforts, as well as the link to the spreadsheet. It’s important to use Google Docs for this so that the person reviewing your case can actually view the file. After about a week, we were notified that the manual penalty recovery was complete – our manual action had been revoked! I hope this helps you if you’re looking for manual penalty recovery tips. If you need web development help or SEO Services, feel free to contact us! We’ve been building custom content management for e-commerce for over a decade. We have hundreds of satisfied clients selling online right now, but sometimes a new client will come to us to build their online store on a limited budget. They may be a new business, a startup, or just a small or micro-business operating out of their home or garage. In the past we would have turned these clients away, but today we’re announcing two easy and economical options for small businesses who need to get selling right now and don’t mind some minor inconveniences. 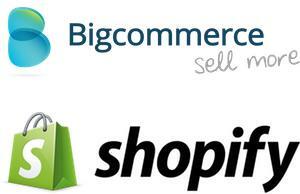 RemedyOne is now partners with BigCommerce and Shopify, two of the leading hosted e-commerce providers. Now these solutions aren’t as full-featured as a custom online store, and more established businesses may lose a little credibility going with one of these off-the-shelf systems, but that said, if you’re ready to start selling online and you’re dealing with major budget restrictions, they’re great choices. What are ‘hosted online stores’? Put simply, these are pre-existing services, where you can use a pre-built framework to sell your products or services online without the hassle of building your site from scratch. ‘Hosted’ means the company is storing and providing the online store to your customers from their computers, as opposed to you setting up that stuff yourself. Again, you lose a bit of flexibility in order to gain a lot of simplicity. In the BigCommerce vs Shopify fight, customization plays a large part. How easy is it to customize your store? Both provide theming options, but Shopify’s themes are on the whole better, and you can view examples of them before you sign up (versus BigCommerce where you can’t see them until after you’ve signed up). BigCommerce has a built-in HTML and CSS editor for advanced customization, and Shopify uses a proprietary language called Liquid to build their themes and templates. We’ve found Shopify stores to be generally simpler to customize than BigCommerce, but not enough to make a huge difference. This one is pretty simple – BigCommerce currently doesn’t have blogging functionality. So in this area Shopify wins hands-down. Here at RemedyOne we recommend blogging as a general rule for most companies and it is possible to work-around this limitation to set up a blog on a BigCommerce site, but for simplicity’s sake, Shopify wins this round! BigCommerce packages start at around $25 per month, whereas Shopify packages start at $29. There are many more pricing levels with BigCommerce than Shopify, and both seem to start getting really cool around the $80 / month mark, when they both add Abandoned Cart Recovery as a feature. They both have free trials so you can play around and decide which works best for you before committing. Both have similar plugin and expansion potential, but one of the greatest advantages for Shopify in this regard is their Shopify POS product, which allows you to use your Shopify system as a back-end for your retail store, and use an iPad as a checkout system to ring up charges in a physical location. BigCommerce currently doesn’t have such an elegant solution for POS.